An invasive plant spreading across France is posing a nasty allergy risk in late summer and autumn and should be pulled up wherever they are found, activists say. 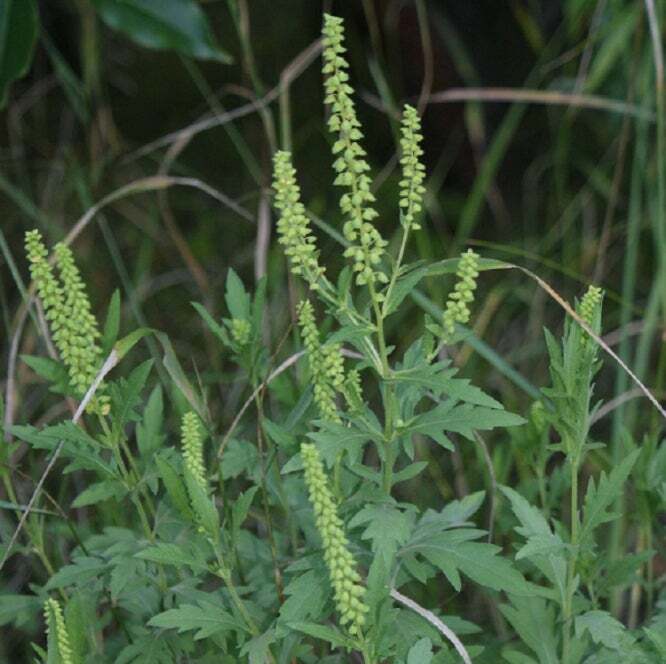 About 12% of the population are vulnerable to the effects of ragweed – ambroisie in French – which are similar to hay fever with runny nose, sneezing, conjunctivitis, dry throat, eczema and, for the worst affected, severe asthma attacks. The problem is becoming so serious that an official advice website has been set up at ambroisie.info by the French agricultural research institute, Inra. However despite this, campaigners Stop Ambroisie say not enough practical action is being taken to tackle it.